A dynamic four-piece of fiddle, flute, guitar and percussion, Gnoss tackle energetic tune sets and driving folk song with a ‘maturity of ability manyof a greater age will envy’ (The Living Tradition). 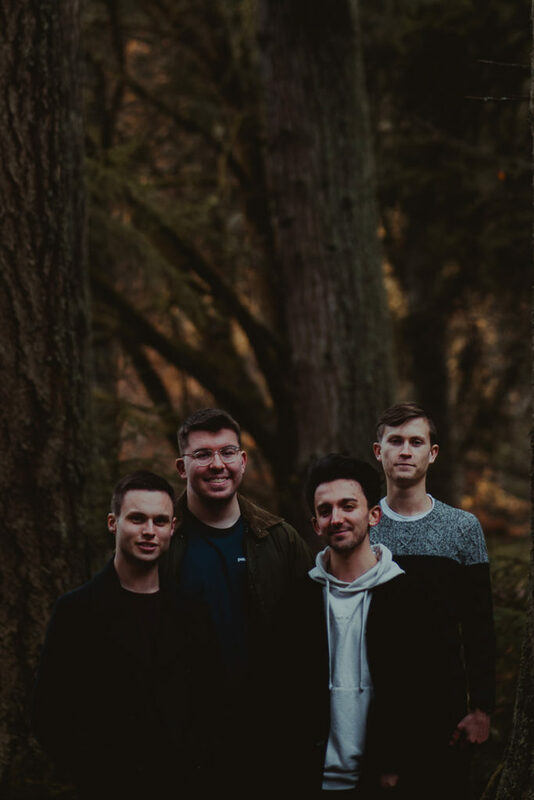 With international touring complimenting the release of their debut album in 2019, all eyes are firmly on this young quartet as they continue to stride forth from the pack. Aidan Moodie belongs to a rich vein of Orcadian folk musicians that have made a name for themselves outside of the northern isles. Since moving to Glasgow in 2015, Aidan has become one of traditional music's more sought-after accompanists, touring alongside award-winning names such as Siobhan Miller, Claire Hastings and Iona Fyfe. 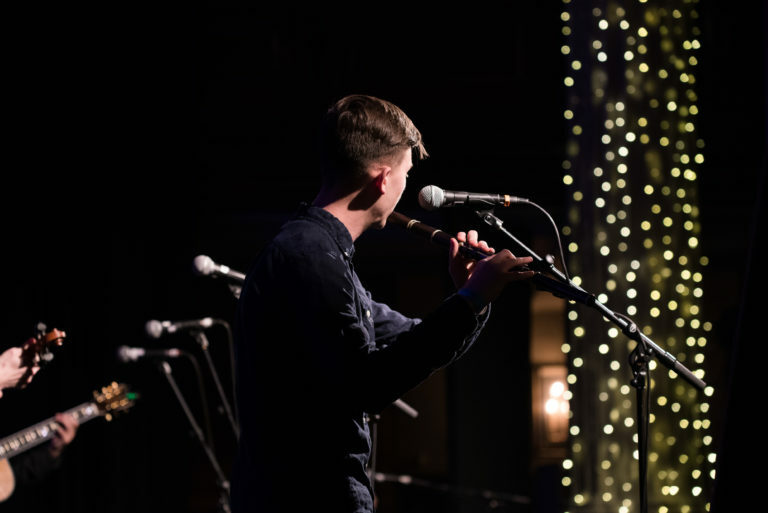 He's gigged all over Europe, performed to British Royalty, and - most recently- was one of the creative forces behind Orkney Folk Festivals 'The Gathering: Generations', performed to a sold out Celtic Connections 2019. 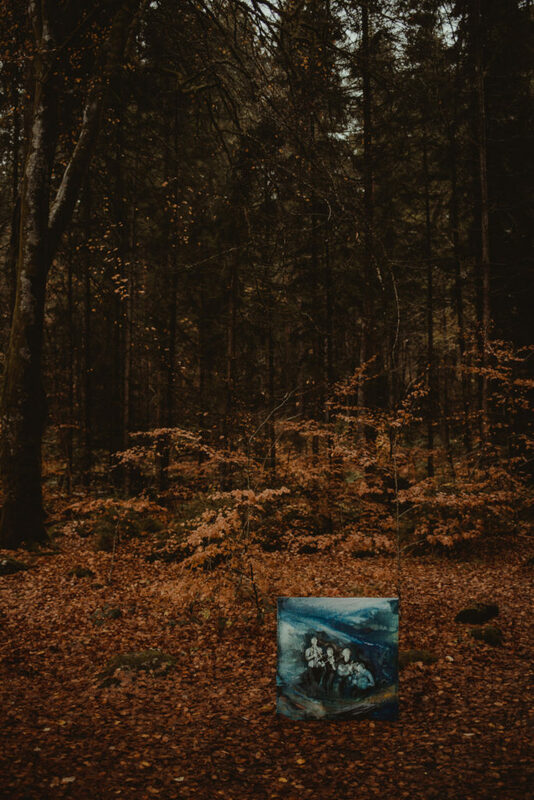 With a passion for lyricism and arrangement, Aidan is heavily involved in Gnoss' creative side, with two of Drawn From Deep Water's songs (Three Shores and Sea Widow) penned by him. He has a keen interest in poetry, taking the opportunity to shine a light on the words of fellow Orcadian George Mackay Brown throughout the album. Aidan graduated from the Royal Conservatoire of Scotland's 'Bachelor of Traditional Music' with first class honours. Connor Sinclair is a talented multi-instrumentalist from Crieff, Perthshire. Connor started learning the Highland Bagpipes from the age of 5, which led to an incredibly successful and varied piping career. An accomplished solo piper, Connor has won many prizes – including the Silver Medal at the Northern meeting in 2016 and 1st place in the A grade Marches at the Argyllshire Gathering. Connor has also won the World Pipe Band Championships twice as a member of the Grade 1 Field Marshall Montgomery Pipe Band, in both 2014 and 2016. Connor attended the Edinburgh Music School at Broughton receiving tuition on bagpipes and piano. Connor Graduated with a degree in Scottish Traditional Music at the Royal Conservatoire of Scotland where he focused on bagpipes, whistle and flute, although he also enjoys playing the guitar and mandolin. Connor’s musical influences are hugely varied and come from being immersed in Scottish music, culture, and history his whole life. Craig is a drummer from Clackmannanshire near Stirling. He started out in the Pipe Band world, playing in the local Royal Burgh of Stirling Pipe Band, before going on to play with Fife Police Pipe Band, achieving regular prizes with the band around the Major Championships in Grade 1, as well as performing with the National Youth Pipe Band of Scotland, where he was Drum Sergeant from 2017-2019. Craig has performed internationally in Germany, Switzerland, Italy, Ireland and America with the bands, and also placed 3rd in the Juvenile 5 Section of the World Solo Drumming Championships in 2017. 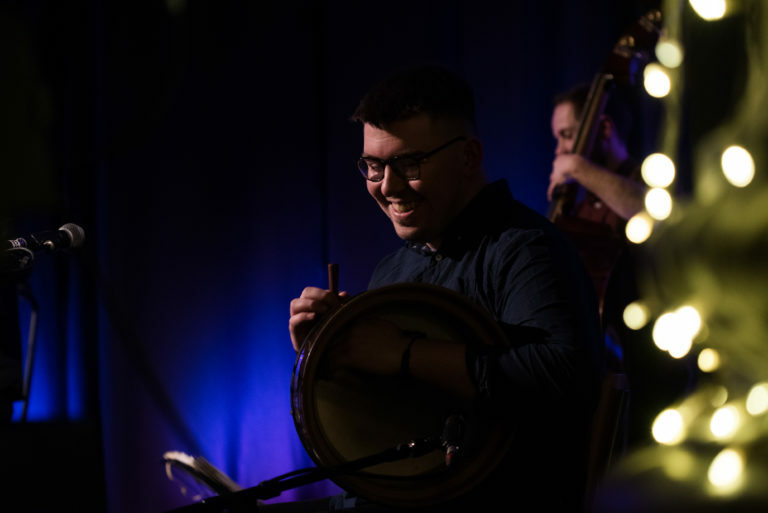 He began playing bodhran when starting his Degree in Traditional Music at the Royal Conservatoire of Scotland in Glasgow, where he is now in his 3rd year, and now gigs and teaches regularly along with his studies. He also performs with the band TRIP, the Madeleine Stewart Trio and the Conival Ceilidh Band, as well as having performed with artists such as Finlay Macdonald, Brighde Chaimbeul, Iona Fyfe, Project Smok and many more around the traditional music scene in Glasgow and at festivals across the UK and beyond. Orcadian fiddle and mandolin player Graham Rorie is an award-winning musician in the Scottish traditional scene based in Glasgow. Tutored in Orkney by Douglas Montgomery (The Chair, Saltfishforty) he is a recent graduate of the Traditional Music degree at the Royal Conservatoire of Scotland in Glasgow. Graham has gained a wealth of performance experience around the world with performances at the likes of Celtic Colours in Cape Breton and Glasgow’s own Celtic Connections as well as touring Germany and Denmark with the Paul McKenna Band. He has played for many high-profile figures including HRH The Prince of Wales, the Mayor of London Sadiq Khan and members of the EU parliament in Brussels. 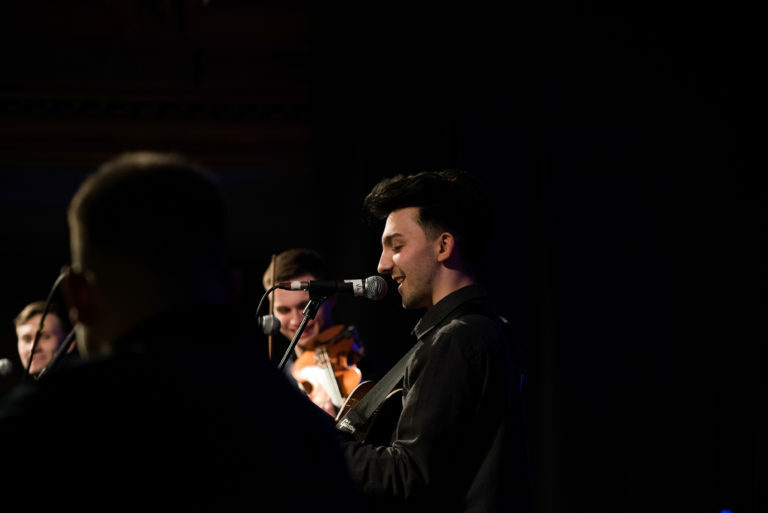 Graham’s music has also seen him awarded two Dany Kyle Awards at Celtic Connections and a place at the Semi-Finals of the BBC Radio 2 Young Folk Award, the later with Gnoss. An accomplished tune-smith, many of Graham’s compositions are featured in Gnoss’ material. 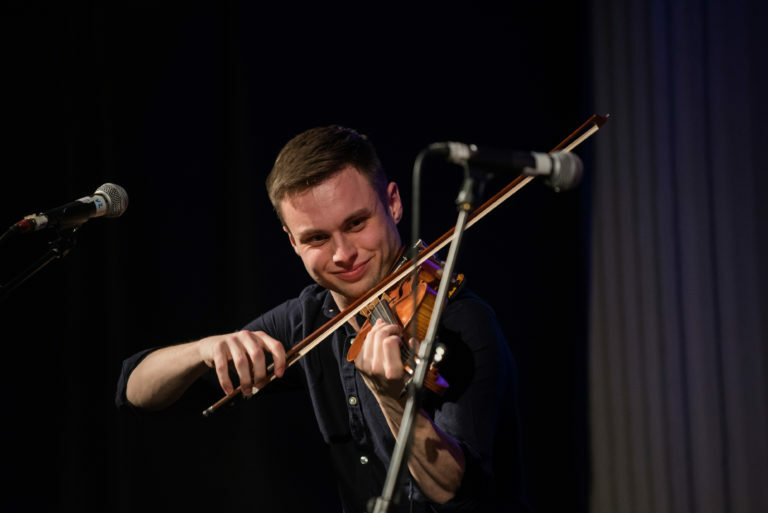 An in-demand session musician, Graham has featured on fiddle and mandolin for albums by artists including the Red Hot Chilli Piper’s Dougie McCance, BBC Radio 2 Young Folk Award 2017 winners Josie Duncan and Pablo Lafuente, and 2018 MG Alba Scot’s Singer of the Year Iona Fyfe. Graham plays a Colin Tulloch Violin.